Raising a glass – to Norman Murphy! Most Wodehouse enthusiasts will now be aware of the sad news that Lt Col Norman Murphy, founder Chairman of the PG Wodehouse Society (UK), passed away in October. Norman will be remembered as much for his own inimitable character as for his expertise. 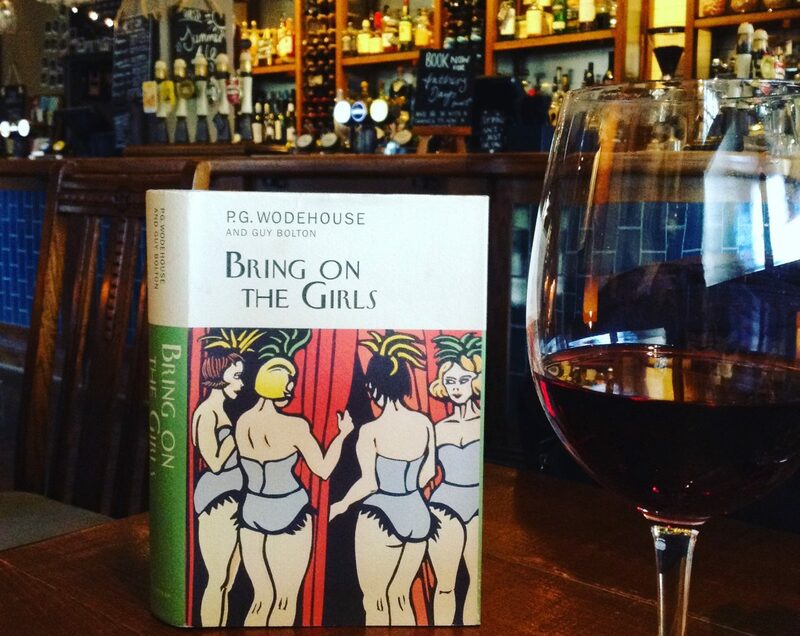 Many Wodehouse fans who encountered Norman — on one of his famous Wodehouse Walks, at a Society meeting, or convention – will retain affectionate memories of an enthralling fellow who always made an impression. I feel incredibly privileged to include myself among them. The friendship, advice and encouragement I received from Norman (and his wife, Elin) is something I’ll always cherish. The PG Wodehouse Society has opened an online Book of Remembrance for people to share their memories of Norman. Please do share yours with them. Obituaries celebrating Norman’s life and contribution to Wodehouse scholarship have also been published in The Telegraph and The Times . If you’ve not already done so, please join me in raising a glass– to Norman! Thank you Honoria. I did not know NTP Murphy had gone to his own Blandings. This is, as you say, a great loss. There’s nothing more to say, I guess, except toodle-pip Norman old horse. And see you later, cobber. Our Melonsquashville (TN) Literary Society chapter of The Wodehouse Society, in the USA, will be toasting to the memory of Norman in a dry sherry tribute on 10 December at our next chapter meeting. Our dramatic reading is the Wodehouse short story “The Metropolitan Touch” and I feel that its London sprightliness is a fitting tribute to Colonel Murphy’s obvious delight in the wonderful world of London and Wodehouse. That is a wonderful selection, Ken. Well done Melonsquashville! A well-deserved tribute. Plum is surely lucky to have enthusiasts of such a caliber and passion for his works. Wonder what they would be discussing at the Senior Conservative’s Heaven Branch these days.